Last year I broke three bones in my ankle. I was told surgery was the only fix. Off we went into the OR, three hours later I had hardware in my foot and excruciating pain (after the anesthesia wore off). I received a prescription of something “codone”. My father who is also a doctor suggested I exercise restraint in using the prescribed pain killer. I must admit that taking ‘the codone’ was an easy-quick-fix. The numbness doesn’t let you feel much. The inert state brought on by the drug wasn’t my thing and I chose to bear a little pain in exchange for being ‘alive’ and ‘awake’. It was a good trade off- for me. Most folks who have known extreme physical pain, know this struggle. They also know if you’re not careful it’s a downward spiral into dysfunction (on the extreme end of the spectrum). Thankfully I didn’t have to find that out. The consequences of this abuse have been devastating and are on the rise. “The number of unintentional overdose deaths from prescription pain relievers has quadrupled since 1999. There is also growing evidence to suggest a relationship between increased non-medical use of opioid analgesics and heroin abuse in the United States”. When human beings become a statistic on the scale of life and death it ought to be a wake-up call for us all. While one can’t put a $ value on human life, the cost of managing the epidemic is high not only in monetary but also in social terms. VR is a realistic and immersive simulation of a three-dimensional environment, created using interactive software and equipment, and experienced or controlled by movement of the body (Wikipedia).A person using virtual reality equipment is typically able to “look around” the artificial world, move about in it and interact with features or items that are depicted on a screen or in goggles (equipment). To be transported to a faraway land, to see beauty, hear the chirping of birds and sound of flowing water or waves crashing on the shore has a way of taking the mind off, enabling stress relief and impacting humans in a positive tangible way. How does VR work and has anyone proven it does? The mind can only focus on so much stimulation at once and given something else to focus on, the pain a person experiences will diminish. At the UCSF Benioff Children’s Hospital in Oakland, California. Dr. Anne Marsh, (a Pediatric Hematologist-Oncologist) conducted a pilot research study looking at VR as an adjunctive measure for pain management in children having Sickle Cell Disease. The disease is characterized by acute and chronic episodes of intense pain. The patients showed considerable difference when immersed in the under-ocean VR experience. “Virtual Reality technology has the potential to transform pain management” says Dr. Marsh. She points out — VR doesn’t produce the unfavorable and undesirable side effects that opioid pain killers do. At the Cedars-Sinai Hospital in Los Angeles, California, one doctor is conducting a pilot program to use VR in Alzheimer’s and chronic pain management. With that evidence, let’s take a look at where is VR in its evolutionary journey. VR (as we now know it) is in its early stages and making rapid progress. First, Hardware and Software — Hardware must evolve to be user friendly without side effects (such as dizziness caused by prolonged use) not to mention lighter, more elegant headsets or something else altogether (maybe google glass X.0 or similar). Software must scale to allow superior quality content creation in quick time. Use of crowd sourcing model for content creation by enabling participation (with ease), by a wide variety of creative ‘actors’ instead of ‘specialists’ alone will serve as a growth hack. Platforms that support VR content creator community will play a key role. Second, Content Management — ensuring all the (hopefully) enormous content generated through various channels and a multitude of creative ‘actors’ can be managed effectively. This includes curation, cataloging, refinement (to absorb customer feedback). Additionally,enabling the use of existing ‘assets’ for creating VR content will accelerate growth exponentially. Eventually, clear abundant value to consumers in terms of variety, quality and effectiveness of content, that achieves the desired impact across use cases, will be key. Third — Robust VR Supply Chain — this must evolve and mature to support adoption. Solving the problem of distribution and installation to ensure ease of access and use will be critical. Fourth — Cost. Today a VR headset ranges between $15-$900. The cost has reduced considerably and is expected to decline further over the next couple of years. Couple that with content availability in a ‘Netflix like’ model — benefits will be there for users to enjoy. “The average cost for 1 full year of methadone maintenance treatment is approximately $4,700 per patient, whereas 1 full year of imprisonment costs approximately $24,000 per person”. Spending a fraction of that cost on VR, and continuing to study and research its impact can result in huge savings. 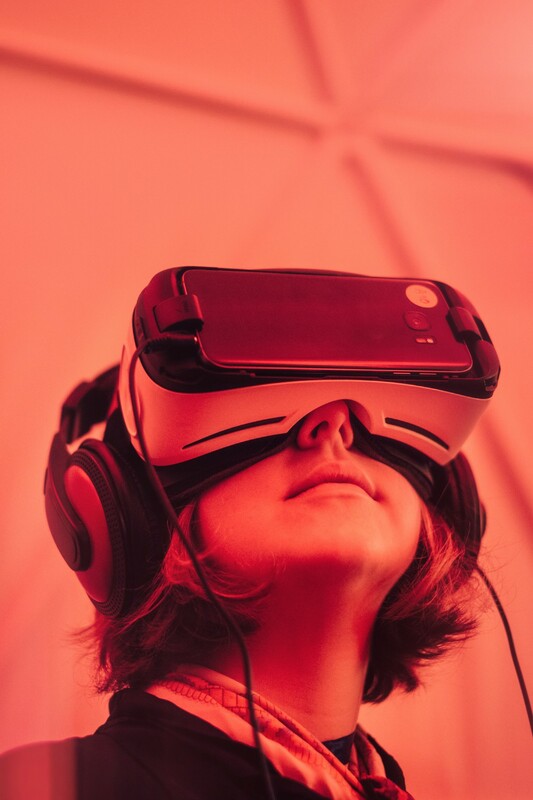 Proponents of VR believe in the technology’s potent power to help address a range of issues from arachnophobia, mental health problems to depression. As medical study and research programs continue to expand and go deeper into the use of VR we’ll see more proof points. Going back to our anecdote, given a choice between being transported to a faraway wondrous land or taking a pill, more patients will reach for the headset. At least that’s our hope!